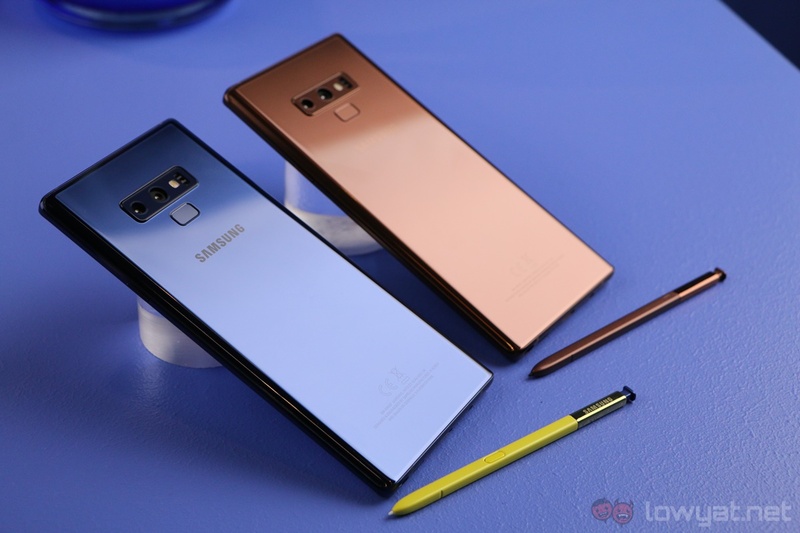 Samsung Malaysia has revealed that it will be launching trade up programme for Samsung Galaxy Note 9. In its essence, this programme would allow you to swap your old phones in exchange for discount when you purchase the latest Note device to date from the company. 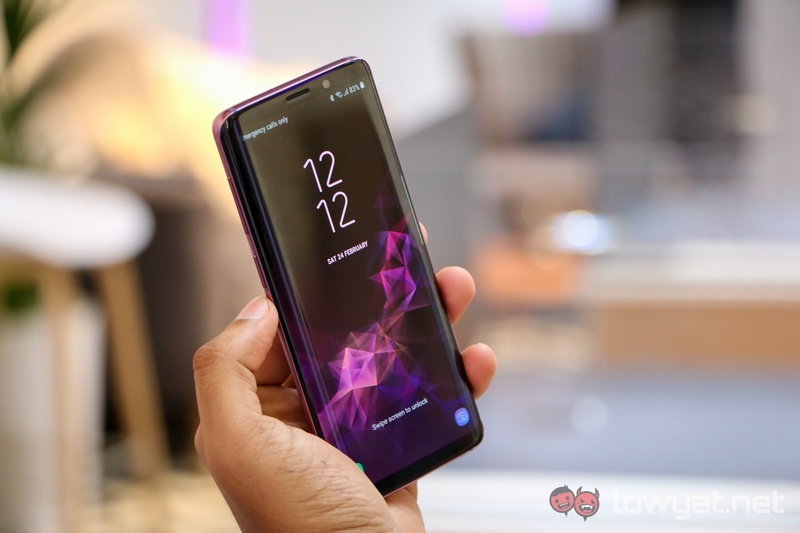 According to its official website, this trade up programme is available at all Samsung Experience Stores throughout Malaysia as well as participating Samsung Authorized Dealers and partners. In general, customers are able to receive discounts of up to RM 3200 for their old phone. However, the trade up programme only accepts certain phones from selected brands such as Apple, Huawei, OPPO, and Vivo aside from Samsung’s own line-up. In addition to that, the actual value of the trade up also depends on the condition of the phone. For example, the RM 3200 discount that we mentioned earlier can be obtained by trading up an Apple iPhone X 256GB in a very good condition. On another hand, you would receive RM 1950 discount for swapping Galaxy Note 8 or Galaxy S9 Plus 128GB while the Galaxy S9 Plus 256GB would provide you a discount value of RM 2050 instead. 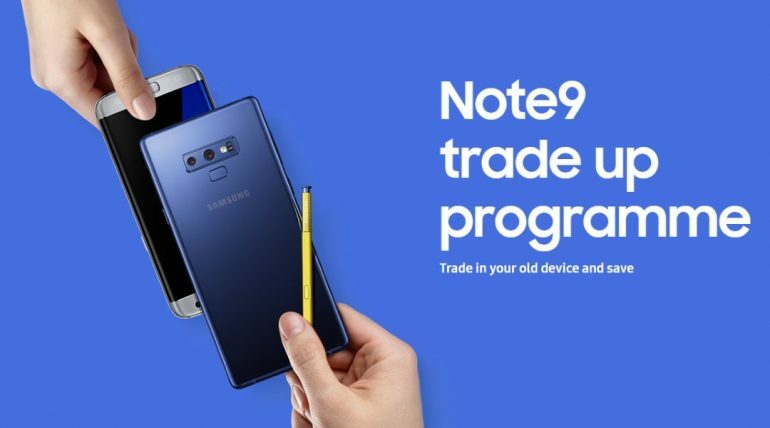 The Samsung Galaxy Note 9 Trade Up Programme will kick off on 22 August and continue to be available until 30 September 2018. For more info, just head on to Samsung Malaysia’s official website and at the same time, don’t forget to check out our hands-on experience with Galaxy Note 9 right here. *Please refer to Samsung Malaysia’s official website for grading details, terms and conditions as well as participating outlets.